The Huddersfield Choral Youth Choirs is a registered charity run by a committee of loyal volunteers. If you feel you have the time or skills to contribute to the running of the choirs in any capacity, please do get in touch. You would be very welcome! All committee members and choir helpers have undergone DBS checks. 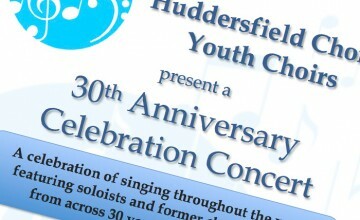 Contact Alison by emailing md@huddersfieldchoralyouthchoirs.com. Since moving to Yorkshire she has undertaken freelance accompanying work for solo instrumentalists, singers and vocal groups, performing at international competitions, recitals and exams. She has worked with soloists and ensembles at the Royal Northern College of Music, Leeds College of Music and Huddersfield University. Jane also performs as a soloist and has undertaken several solo concerto engagements. As a duettist she performs with Kim Kaye in the RO’KA piano duo. In 2007 she undertook the role of Alice Elgar (only the hands!) for a biographical film made for the Elgar Museum in Worcester. 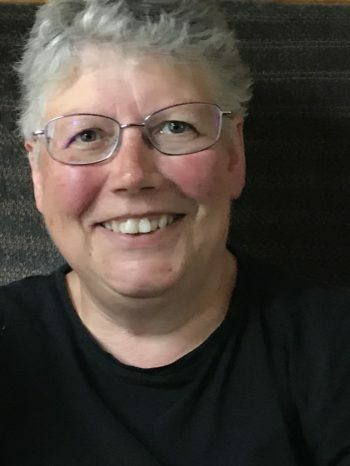 Jane is the resident accompanist for Huddersfield Choral Youth Choirs, Gledholt Male Voice Choir and Honley Ladies Choir. She was formerly the resident accompanist for Alan Simmons’ Mastersingers. Ruth began her musical path at Chetham’s School of Music as a pianist, studying with Peter Lawson, and then going on to the Royal Northern College of Music and Manchester University gaining both a performing and an academic music degree. She then continued her studies as an accompanist at the Guildhall School of Music and Drama with Iain Burnside. Her early professional career was spent as an accompanist, including working at the Guildhall junior school and the Unicorn Arts Theatre in Covent Garden. 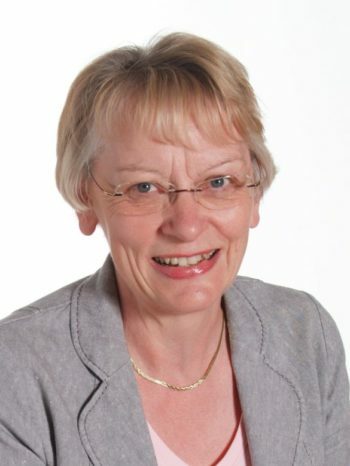 Her school teaching career began in London and continued in the North of England where she taught for thirteen years at Manchester Grammar School. 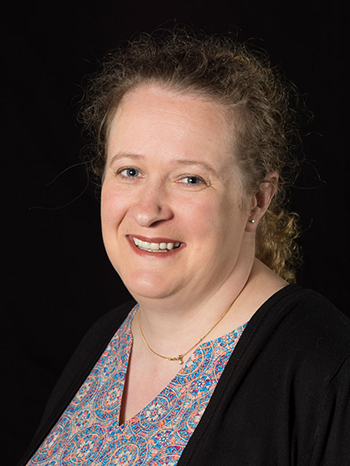 Whilst there, alongside preparing students for national exams and continuing her accompanying, she also became a skilled choral director taking choirs to a wide range of venues from the outdoor stage of the Montreal music festival to the Bridgewater Hall. 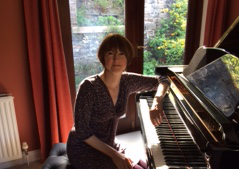 Ruth is currently a teacher of academic music at Chetham’s School, teaching a wide range of age groups and specialising in theory tuition. 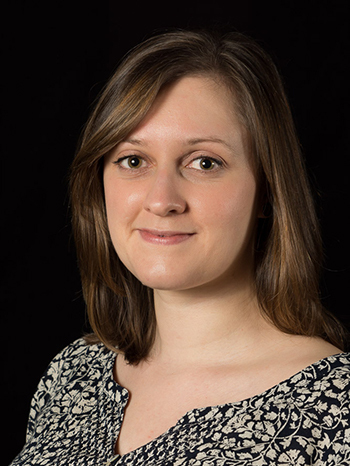 As well as teaching at Chetham’s School and being our Deputy Musical Director, Ruth also coaches piano students for her local music service in Kirklees, and performs with a ‘cellist colleague as part of the Aldred-Watson duo. As chair, Pat represents the Choir. She organises and facilitates its activities with the committee members, encouraging and supporting the music professionals, the volunteers and the singers. 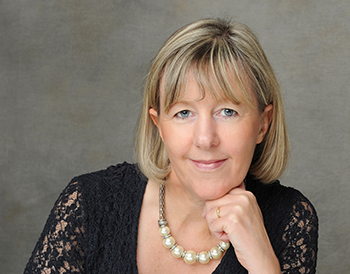 Her background is in education as a primary head teacher and education consultant. She is a passionate advocate of the importance of a rich curriculum including the creative and performing arts and has a special interest in music education. 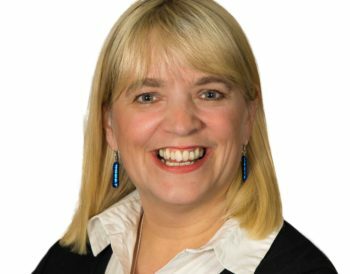 Carole’s role is to support members of the choirs, musical professionals, and parents. She is the appointed choir safeguarding officer and she manages all of the choir’s administration. Carole saw her own two children go through the choirs and enjoy all of the different opportunities that they were given. 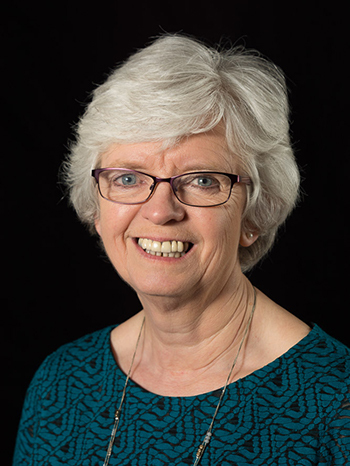 Carole is a highly experienced education professional with specific expertise in pastoral care. 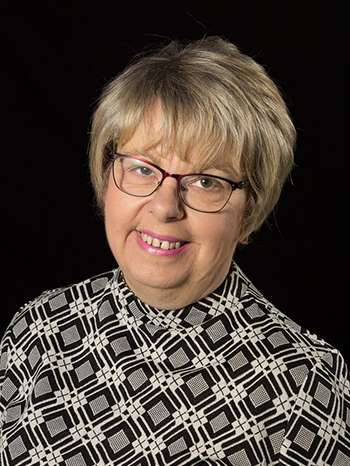 Elizabeth has been involved in the HCS Youth Choirs since the mid 1990s when she was the Programme Officer, responsible for compiling and producing the concert programmes and raising advertising income from local businesses. She soon took over the management of the Friends scheme, significantly increasing the level of donations over a period of 2-3 years. 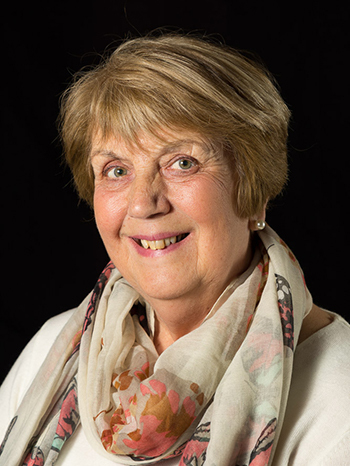 When the Youth Choir and the Young Voices joined forces to become the HCS Junior Choirs, and the two Committees were reorganised and combined, Elizabeth remained on the newly constituted committee, continuing to be responsible for concert programmes and the Friends scheme, and was elected Chairman in 2008. She remained the Chairman for about 5 years until she resigned in 2012. In 2017 Elizabeth joined the HCS Youth Choir Committee as Treasurer. In 2018 her role has expanded to include the management of the Friends scheme. Rachael is a former choir member having joined in 1998. She is a keen globe trotting linguist. 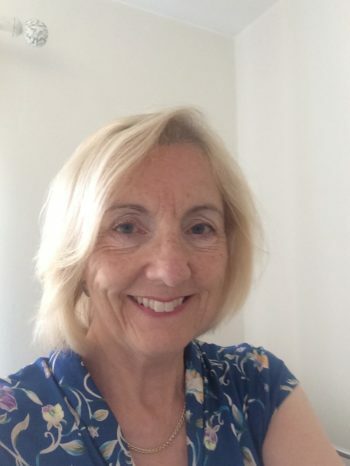 Having spent seven years in France, she returned to the UK to retrain as a Secondary Modern Foreign Language Teacher and to re-establish her connection with music. Rachael loves seeing the enjoyment and progression of the choir members and she is a regular friendly face at rehearsals. Rachael is also the committee Minutes Secretary. My son and daughter were both members of the choirs when they were young, and my granddaughter joined the Young Voices in 2013 on the recommendation of her singing teacher, who said it would help her gain confidence. She has certainly grown in confidence with each performance, and regularly volunteers to sing solos. Bringing my granddaughter to choir every week has led to my involvement with the choir and becoming a committee member. You might see me selling tickets at rehearsals or serving refreshments at the concerts. Nicola was a founder member of the Youth Choir when she joined it in September 1986 and leaving it in 1993. She held the position or Treasurer of the Young Voices for two years during that period. Nicola moved on to pastures new to work as a vocalist in the entertainment department for Warner Leisure Hotels on the south coast. During this time she primarily fronted dance bands at various hotels and worked in cabaret. Nicola returned to Yorkshire and worked in the travel industry before moving on to manage and Agency in Halifax. Nicola’s own daughter now sings in the Young Voices and Vocalise and she describes it as ‘Fabulous’ to be giving back something to an organisation that gave her so much. I was choir secretary for four years when my daughter was a member of the Children’s Choir (now the Young Voices). I handed over to Carole when Emily moved up to the Youth Choir. 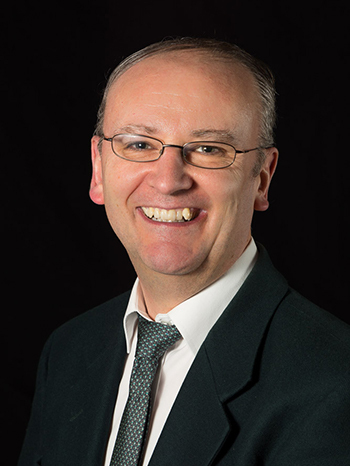 I have been a member of the Huddersfield Choral Society since 1974, and have seen many members of the Youth Choirs move up to the senior choir in that time. I returned to volunteer four years ago when the Youth Choirs asked for choral members to come and support during rehearsals. I also come to every concert to help supervise. I have been a member of the Huddersfield Choral Society since 2001, and was keen for my three daughters to join the Young Voices. I stay at rehearsals each week to help all members of the Young Voices learn the songs, and also help supervise at concerts. Hilary is a member of the Huddersfield Choral Society and has sung with them for many years. From a musical family singing is a big passion of hers. Her first contact with the Huddersfield Choral Society Youth Choirs was as the grandparent of a singing member. Professionally, Hilary is a nurse having trained at the Great Ormond Street Hospital for Children. She now works in General Practice following many years as a District Nurse. Hilary is also a Lay Pastoral Minister in the Church of England.